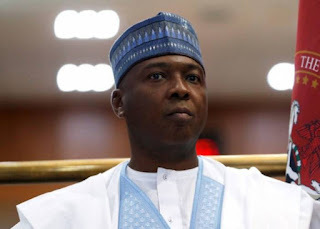 President of the Senate and Chairman, Peoples Democratic Party’s Presidential Council on Osun State Governorship Election, Dr. Bukola Saraki, has faulted the declaration by the Independent National Electoral Commission that the results of the election held on Saturday were inconclusive. Saraki, in a statement issued in Abuja on Sunday, expressed dismay over the decision by the INEC to declare as “inconclusive” an election in which a candidate won the highest number of votes and fulfilled the condition for a geographical spread. The Senate President advised the PDP and its governorship candidate, Senator Ademola Adeleke, to seek a legal interpretation of the situation with the results and the decision taken by the INEC on it. He said, “In my lay man’s opinion, the INEC was wrong in declaring the election as inconclusive because the votes in certain polling units were cancelled. The decision of INEC to cancel the election in those areas after voting had taken place means INEC had already excluded the votes in these areas from the election process and therefore those units should have no place in the overall results. “My opinion would have been different if the election in the affected units did not take place at all, maybe as a result of malfunctioning of the card reader machine or unavailability of the electoral materials. Since the voting took place and was cancelled, only the courts could reverse the initial decision by INEC to cancel the votes in these areas. Saraki stated that it was necessary to also call on INEC to display “courage, boldness, independence, neutrality and patriotism” in order to send signals to the world at large that Nigeria’s electoral system had come of age and that its democracy had matured. He added, “The electoral body needs to reassure all and sundry that the 2019 election and other elections will be free of manipulations and undue interference. “The INEC should note that the Osun gubernatorial election is not only about that South-western state. It is about our country and the entire world is watching. Our national interest is at stake. The integrity of our electoral system is at stake. The reputation of the electoral body is at stake. The future of our democracy is on the line.